Perfect provides booklet printing services for corporate communications, promotions, events, product marketing and investor relations. 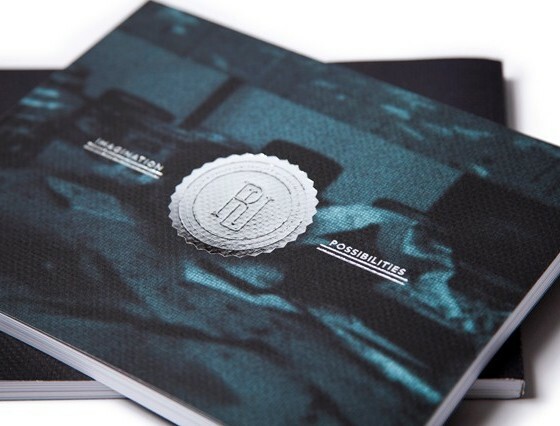 Booklets are one of the materials we print most frequently. We perform booklet printing for customers in various industries (retail, non-profit, higher education and more) for a variety of uses. 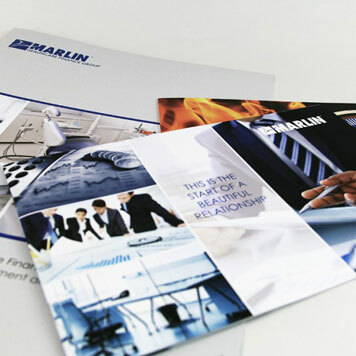 Our custom booklet printing services cover complete booklet production. 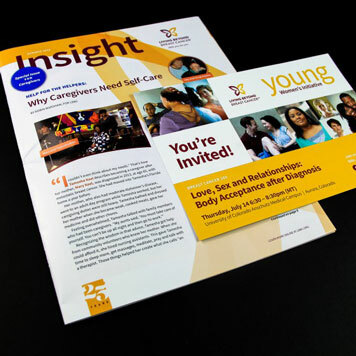 We print and bind booklets in house and we can ship or mail your materials as needed. 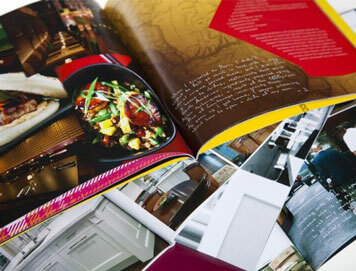 Our digital printing capabilities are good for short-run booklet printing or for booklets that require personalization. Our traditional offset printing is a perfect option for longer printing runs to keep unit costs down. To be considered a booklet, a project must be at least eight pages. A four-page project, which would not require binding, is considered a brochure. One distinguishing feature of a booklet is that it frequently uses a different stock for its cover than its inside pages. 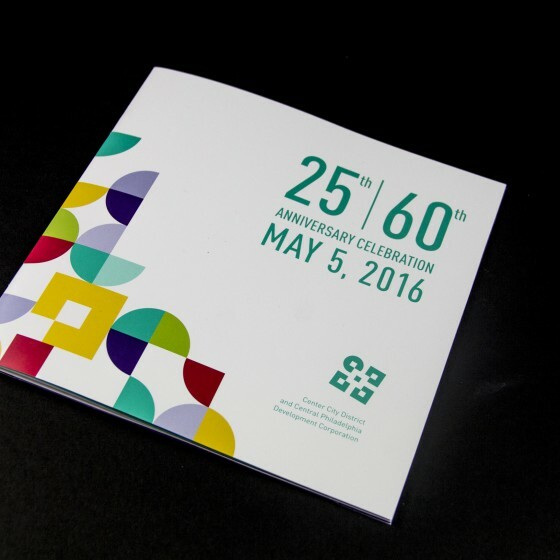 A booklet cover tends to be thicker than the inside pages, often using 80# to 100# cover stock. The inside pages of a booklet are lighter. They commonly use 60# or 70# uncoated text stock or 80# to 100# coated text stock. 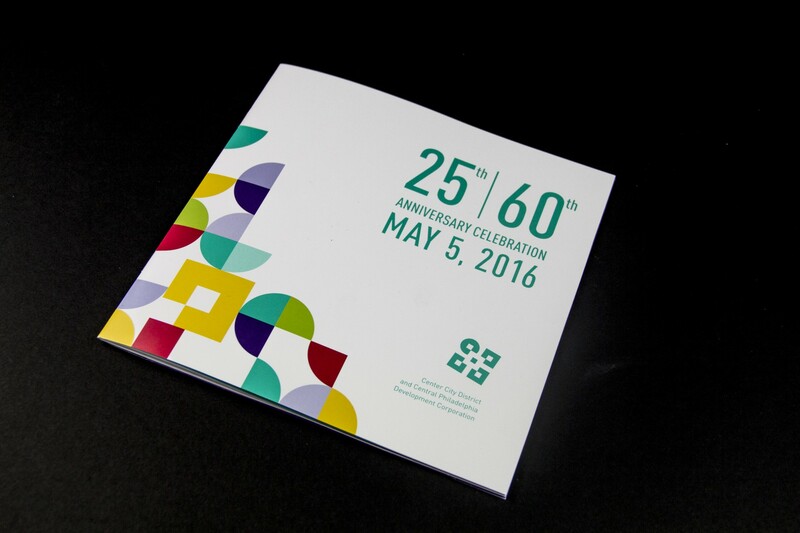 Although we can print custom booklet sizes, the typical booklet is 11 x 17 flat, folded to 8.5 x 11. Other common booklet sizes are 5.5 x 8.5 and 6 x 9. We offer several booklet binding options. 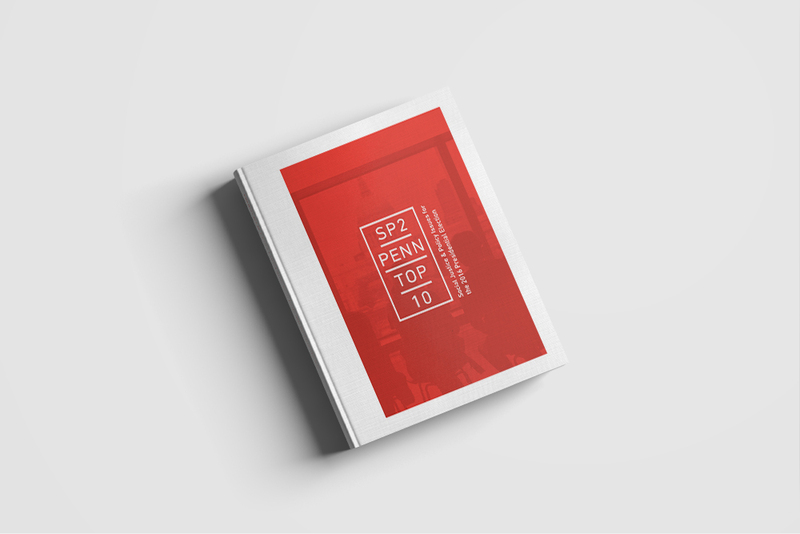 The most frequently used, and the most cost-effective, is saddle stitching. This type of binding uses two staples along the folded edge of the booklet to fasten the pages. Other binding options include perfect binding—a more permanent type of binding that is often used for thicker booklets—wire, plastic coil and ring binding. In terms of cost, perfect binding is more affordable than wire or coil binding since the latter two have the extra cost of the binding material (plastic or wire). • When a booklet uses the same stock for the cover and inside pages, the piece is called a “self-cover” booklet. 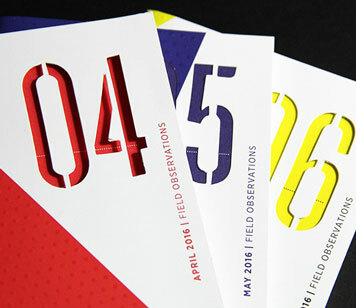 • Remember, a saddle-stitched booklet must be produced in a page count that is a multiple of four. • With perfect, wire, plastic and ring binding, the page count must be a multiple of two. 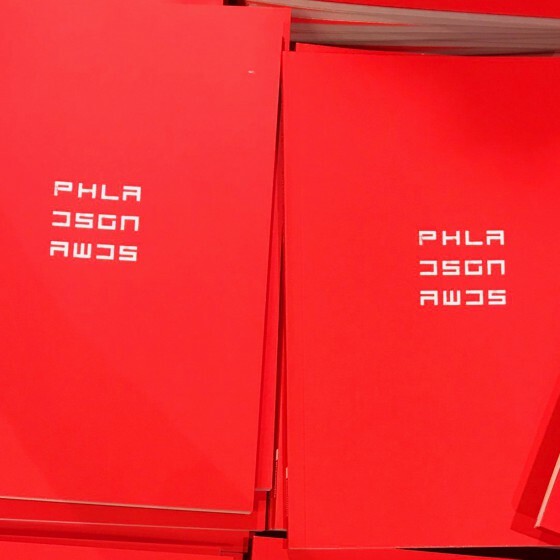 Digitally printed soft-touch cover catalog for awards gala. Custom-designed pocket-sized notebooks featuring various special finishes. Booklet used as program for special anniversary event. Perfect-bound color catalog for seller of vintage first editions of literature and art. 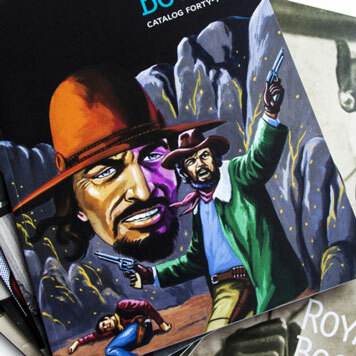 High-quality, low-quantity digitally printed booklet series. 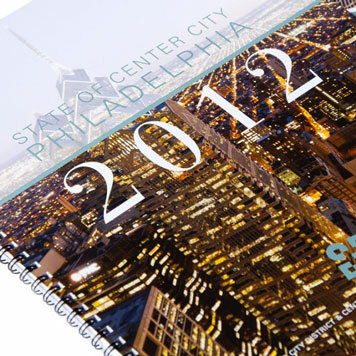 Specialty coatings and metallic ink enhance the “State of Center City” report.